President Cheryl Brickey called the August 15, 2015 meeting and workshop to order shortly after 10 am and welcomed everyone. 14 members and 1 guest were in attendance. 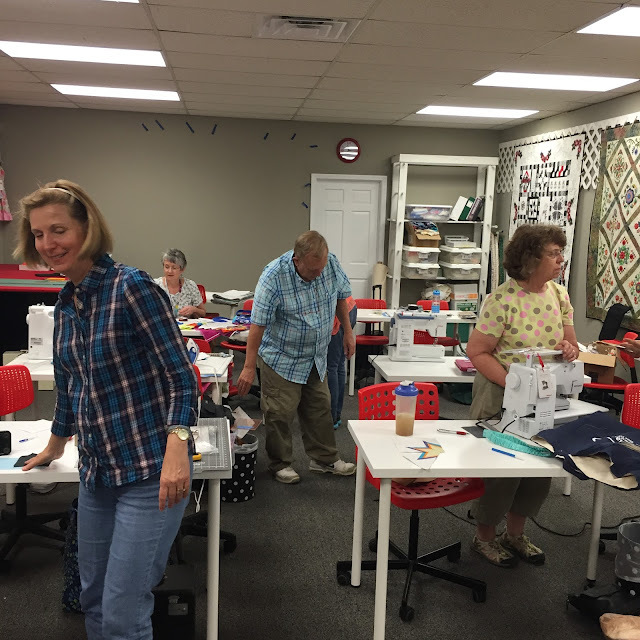 Ashville Quilt Guild's quilt show will be held at the WNC Ag Center Davis Event Center in Ashville, SC on October 2-4. August's instructions for flying geese were passed out. Instructions are also available on the Meadow Mist Designs blog and there is an active Facebook group for the quilt-a-long. A lap-size quilt will be auctioned at a silent auction at a December 2nd fundraiser for the Meyer Center. 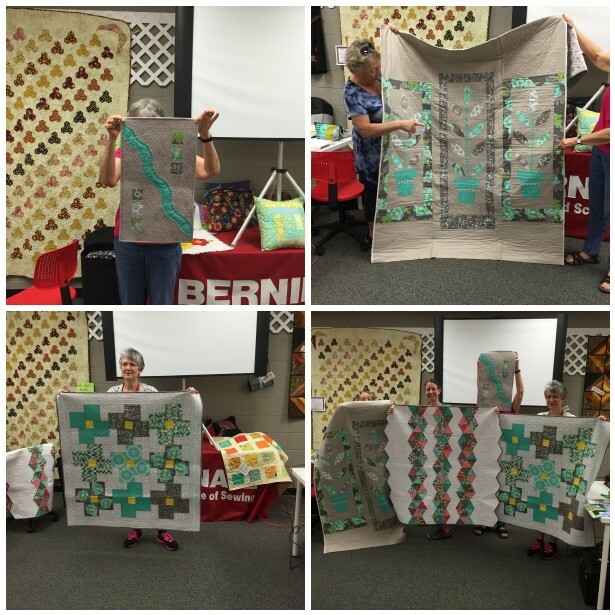 At the August workshop, we arranged the quilt blocks into a quilt layout. Darleen volunteered to piece the blocks into a quilt top and supply the batting. Fannie has volunteered to do the quilting and Cheryl volunteered to bind the quilt. 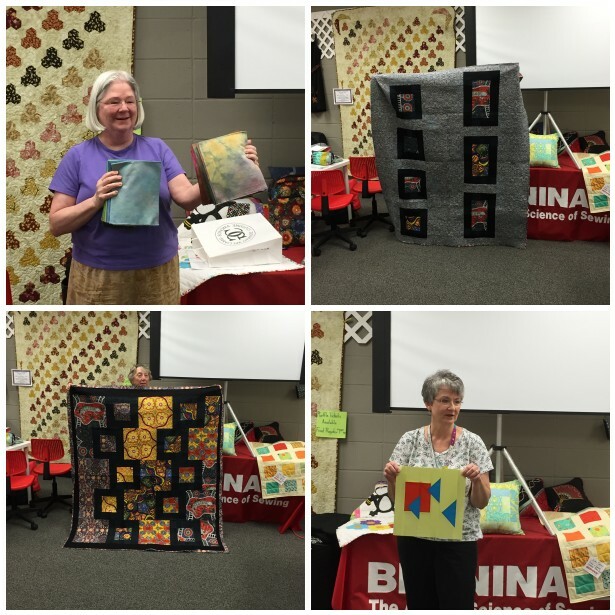 No block of the month pattern was given out at the August meeting. Dues were collected from 2 new members bringing the total paid membership to 27. Paige handed out copies of the membership roster, Paige will have copies at the September meeting for those that were not at the August workshop. 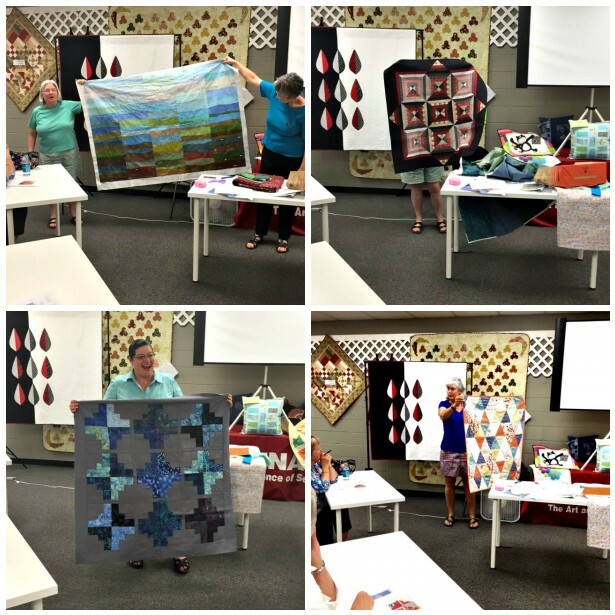 We had 4 quilters take part in the Modern Quilt Guild Riley Blake Challenge using The Cottage Garden collection by the Quilted Fish. Darleen lead an excellent workshop on paper piecing. 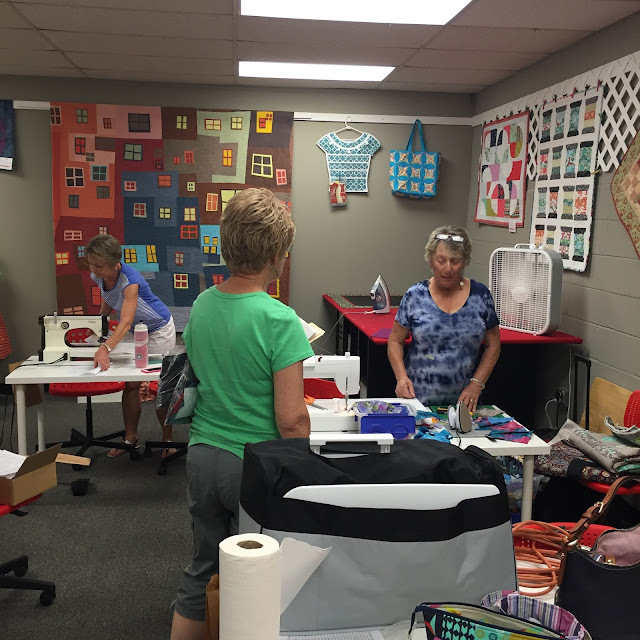 Everyone had a great time sewing and socializing and made some great looking blocks. Thanks Darleen! Here are some action shots from the workshop. The meeting was adjourned at 3pm after the workshop.